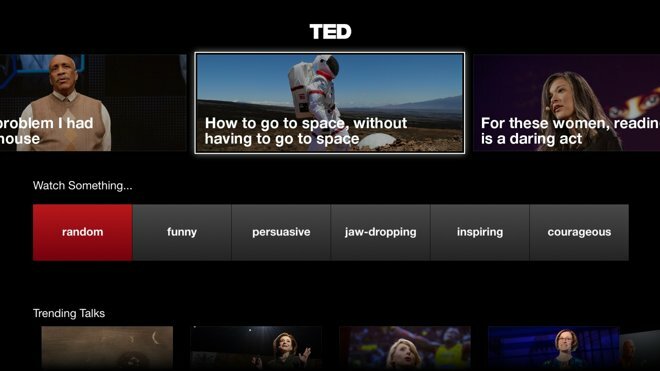 Amid reports of a major hardware and software refresh coming later this year, Apple on Tuesday added three more app channels to the current-generation Apple TV: TED, Tastemade, and Young Hollywood. 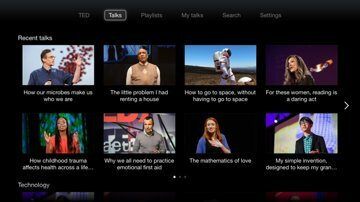 The TED app brings that online network's 1,900-plus lectures and performances to the Apple TV. 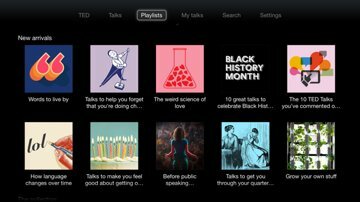 The interface is divided into front page, Talks, and playlist sections, the latter two of which let viewers browse by category, or collections under different themes, such as Black History Month, languages, or aging. 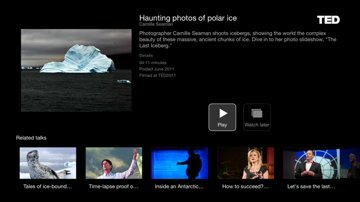 The front page offers access to trending videos and random playback options such as "Funny" or "Jaw-Dropping." 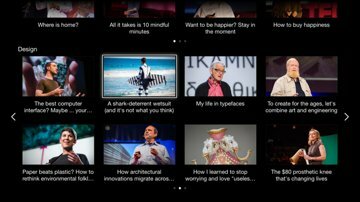 The app also lets users sign in with an existing TED account, such as one created for the TED iOS app. 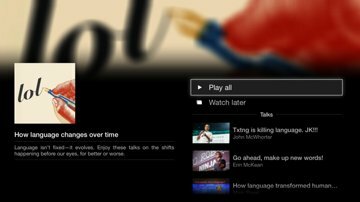 This enables syncing a Watch List across devices, and a personalized "lean back" mode where a new video or playlist will queue up automatically once the last one is finished. Tastemade gathers together food and cooking videos, but with a special emphasis on the culinary scenes in different cities. Young Hollywood is a music, celebrity, and lifestyle channel with some original shows, such as Amp'd Up. The app's interface lets users browse by show, performer, or genre, the last group including categories such as TV/film, music, sports, and fashion. Apple is rumored to be working on a full-fledged subscription TV service that may debut this fall. An overhauled Apple TV with an App Store and Siri could be shown at this year's Worldwide Developers Conference in June.